Women have been taking on the world of sports for a long time now. Most sports have separate events for men and women. It is hardly seen that a woman competes in a man’s game against male competitors, except in some rare sports like car racing. However, down the history of sports, it has been seen that many women have dared to challenge men. Many of such players have done so in the earlier times because at that time, women were not even considered eligible to participate in sports, and to prove themselves they had to compete with men. Now, since the men’s teams often get more attention than the female teams, and it is kind of a subtle idea that the men’s teams are much stronger than the women’s, some female athletes have proven themselves strong enough to be at par with men. Let’s take a look at the Top 10 Female Athletes who Competed against Men. Katharine Anne Hnida, popular by her nickname, Katie, is a football player who is noted as one of the famous female athletes who competed against men in football. Born on May 17, 1981, This American footballer is an accomplished placekicker, who competed in an NCAA Division I-A game, which is the highest level of college football. Though she is not the first woman to play in one, she is the first to score points in it and is one of the Top 10 Female Athletes who Competed against Men. She kicked 2 extra points for the University of New Mexico Lobos in 2003. She was the third woman to score in college football. She was also the second woman to dress for a Division I-A game and the first to do so for a bowl game. She also played for the University of Colorado, before she transferred to the University of New Mexico. After her success in college football, she was invited to join the Colorado Buffaloes football team as a walk-on freshman placekicker, and she suited up for the games, but due to health issues, she could not compete for a roster spot. 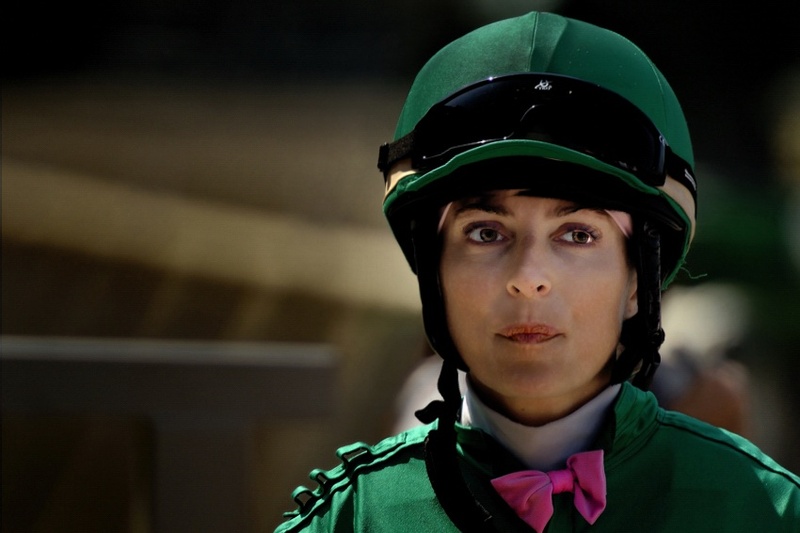 Julieann Louise Krone, known by her nickname Julie, is a retired jockey, and is reputed as one of the top female athlete who competed against men. Born on July 24, 1963, in Michigan, US, she became the first ever woman to achieve the Triple Crown race, as she bagged the Belmont Stakes aboard Colonial Affair which was her biggest win. She had grown up as a show horse rider, after which she made her debut as a professional thoroughbred jockey in the year 1981, and captured her first victory just 2 week later. Throughout her career as a jockey, during which she achieved 3704 wins, she retired and un-retired several times. After her first retirement in 2000, she was inducted into the National Museum of Racing and Hall of Fame for her performances while being one of the Top 10 Female Athletes who Competed against Men. 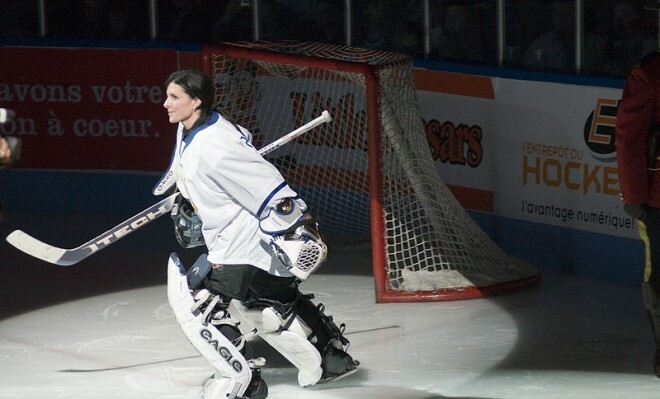 Manon Rhéaume is an ice hockey player who is noted as the first and only female player to play in the National Hockey League, as she appeared in the 1992 preseason exhibition game for the Tampa Bay Lighning as it marked the first appearance of a woman in a professional sporting event for men in any major league. Born on February 24, 1972 in Canada, she plays as a goaltender, and has clinched a number of historic firsts in her ice hockey career and is also one of the Top 10 Female Athletes who Competed against Men. For Trois-Rivières Draveurs in the Quebec Major Junior Hockey League, she became the first woman to play in the Junior A hockey game for men in 1991-92 season. In 1992, she was the first woman to appear in a regular season professional game in the International Hockey League for the Atlanta Knights. Jackie Tonawanda, who was born as Jackie Garrett, is often dubbed as the Female Ali, and is one of the greatest female boxer of all time. 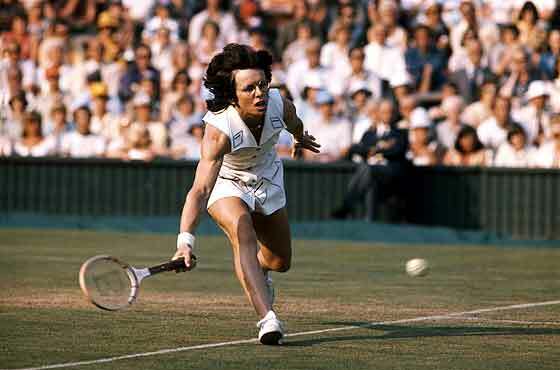 Born on September 4, 1933 in the New York, USA, she is one of the most famous female athletes who competed against men. She was a pioneer heavyweight boxer in the 1970s and 1980s. As a child, she grew up watching the sport of boxing, but at that domain, there were no women boxers in the scenario and eventually became one of the Top 10 Female Athletes who Competed against Men. 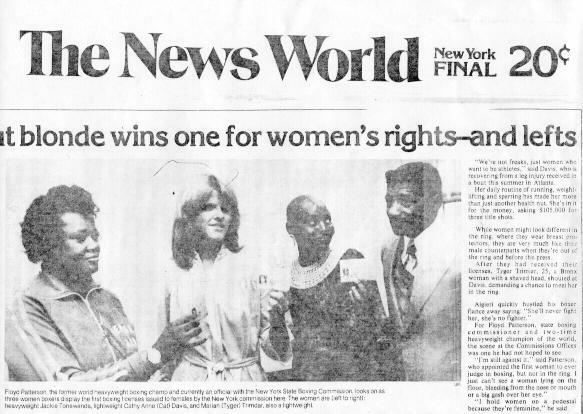 In 1975, she sued the New York State Athletic Commission over their refusal to allow women to fight. She won the case, and is thus responsible for women’s boxing event. Her notable match was in 1975 at Madison Square as she took on kickboxer Larry Rodania and knocked him out. She has had several other achievements in this sport. Billie Jean King is a former World No. 1 professional tennis player, and one of the most famous female athletes who competed against men. Born on November 22, 1943 in California, USA, she is noted for her iconic competition which is often dubbed as the Battle of the Sexes. She was not looking to fight men, and she only looked to earn respect by playing tennis, but as a response to Bobby Riggs’ challenging comments towards female tennis players, she accepted the invitation to play against him in 1973. In front of 30,000 people, she defeated Riggs in straight sets of 6-4, 6-3 and 6-3. Her achievements include 39 Grand Slam titles which helped her to become one of the Top 10 Female Athletes who Competed against Men. She won the singles title at the inaugural WTA Tour Championships. She is still considered one of the best among tennis players, male and female alike. 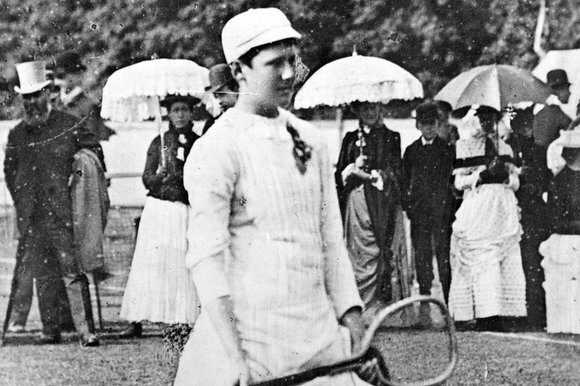 Charlotte Dod, known by her nickname Lottie, was most successful in tennis, though she was also accomplished in other sports like field hockey, archery, golf and winter sports. Born on 23 September, 1871, she is one of the earliest women to challenge male athletes in many different sports, and win many against them. In 1896, she took the St. Moritz Men’s Skating Test, and became the second woman ever to pass it. She was known for winning matches against male tennis players which lead her to become one of the Top 10 Female Athletes who Competed against Men. But her biggest accomplishments are her five Wimbledon Ladies’ Singles Championship wins. Her first win came when she was only 15, in the year 1887. She also won the British Ladies Amateur Golf Championship, and the achieved a silver medal in archery at the 1908 Summer Olympics. Virne Beatrice Mitchell Gilbert, known by her nickname, Jackie, was a baseball player, and one of the first female pitchers in the history of professional baseball. Born on August 29, 1913 in Chattanooga, Tennessee, she is one of the most notable of female athletes to compete against men and occupies the 4th place in our list of Top 10 Female Athletes who Competed against Men. 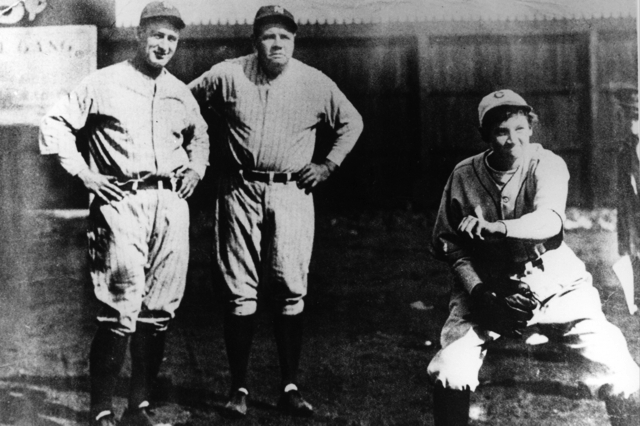 In an exhibition game against the New York Yankees, she pitched for the Chattanooga Lookouts Class AA minor league baseball team, and caught attention as she struck out the famous Babe Ruth, followed by Lou Gehrig. This came as a big surprise as from the point of view of the team, she was just a publicity stunt. Her contract was soon voided, and women were declared unfit to compete with men. She played, often donning a false beard, for a men’s team, House of David, till she was 23. Florence Madeline Syers, known by her nickname, Madge, was a figure skater, noted for bringing about a change in the sports. Born on 16 September 1881 in the UK, she is considered one of the most successful female athletes who competed against men. She became the first woman to ever compete in the World Figure Skating Championships in the year 1902, and she managed to clinch a silver medal in the competition against men in an all-male event. Her success led the International Skating Union to create a separate ladies’ championship and she became one of the Top 10 Female Athletes who Competed against Men. Syers emerged victorious in the first two ladies’ events in 1906 and 07, as well as the 1908 Summer Olympics, the first one to include figure skating. As a pair-skater with her husband, Edgar, she won bronze at the 1908 Olympics. Danica Sue Patrick, commonly known as just Danica Patrick, is an auto race driver, though she is also a model and advertising spokeswoman. Born on March 25, 1982, in Wisconsin, US, she is known to routinely compete against men directly, because car racing is the only major sport where men and women compete against each other, and Patrick is the most visible racer right now. In fact, she is noted to confidently compete against beau and fellow driver Ricky Stenhouse, Jr. She is considered the most successful woman in the history of American open-wheel racing as the only woman to win in the IndyCar eries, with her victory in the 2008 Indy Japan 300. She has several other feathers to her hat, making her one of the most famous female athletes in the list of Top 10 Female Athletes who Competed against Men. 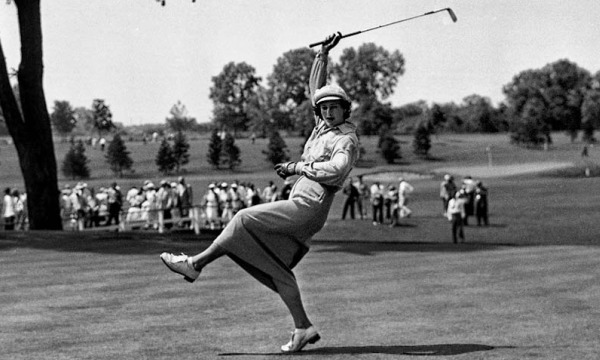 Mildred Ella Didrikson Zaharias, known by her nickname, Babe, was most successful in golf, basketball and track and field, though she also played other sports like baseball, softball, etc. Born on June 26, 1911, in Texas, US, she is noted as one of the earliest women to compete against men and leave a mark. In 1938, she competed in a Professional Golfers’ Association tournament called the Los Angeles Open, though she missed the cut. In 1945, she became the first woman to make a cut as she competed against men. But, competing against men was not her only achievement. Besides 48 golf titles, she had a gold medal in the Olympics in hurdles and javelin throw and a silver medal in high jump. She led her team to an AAU Basketball Championship win in 1931 and is one the top spot in our list of Top 10 Female Athletes who Competed against Men. In an age when gender equality is on the agenda of all sports associations all over the world, it is likely that the demarcations between male and female teams will soon go away. Whether or not men and women should compete on the same standards against each other is a subject of nuanced discussions. For the time being, we salute the women who have broken all barriers and dared to challenge their male counterparts.